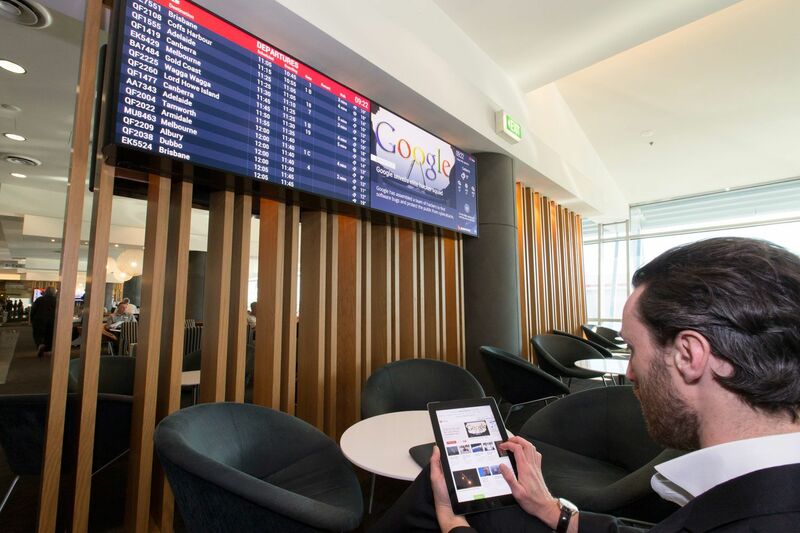 The free WiFi at selected Qantas airport lounges now comes with a side-serve of news, sport and entertainment plus live flight updates. 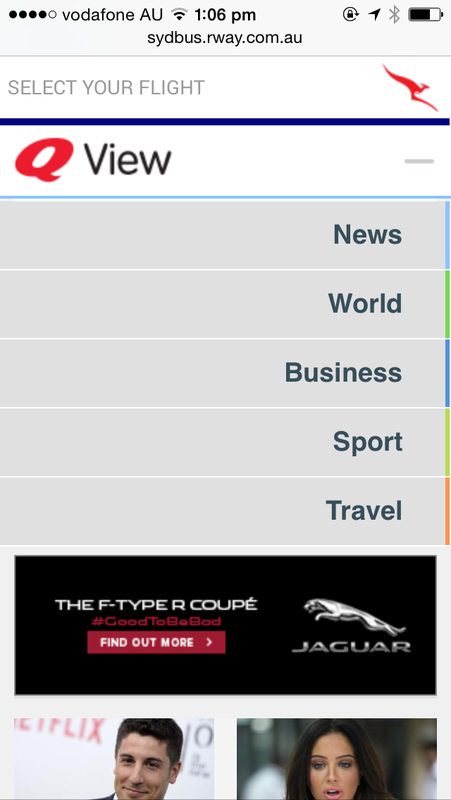 It’s all rolled into a news portal called QView which the airline is positioning as a ‘one stop shop’ for travellers waiting for their flight. Developed under the codename ‘Runway’, QView is the centrepiece of an ambitious high-tech upgrade to the airline’s lounge network. And yes, that includes a significant boost to the lounge WiFi itself, with twice the bandwidth at the back end for faster signals to each passenger’s device. But QView isn’t limited to tablets and smartphones. It also provides the smarts behind new HD screens mounted in the lounges which now show the time it’ll take to get from the lounge to any flight’s boarding gate. And there’s an added twist: the news content shown on the larger screens is driven by the most popular QView stories that visitors to the lounge are reading on their own devices. 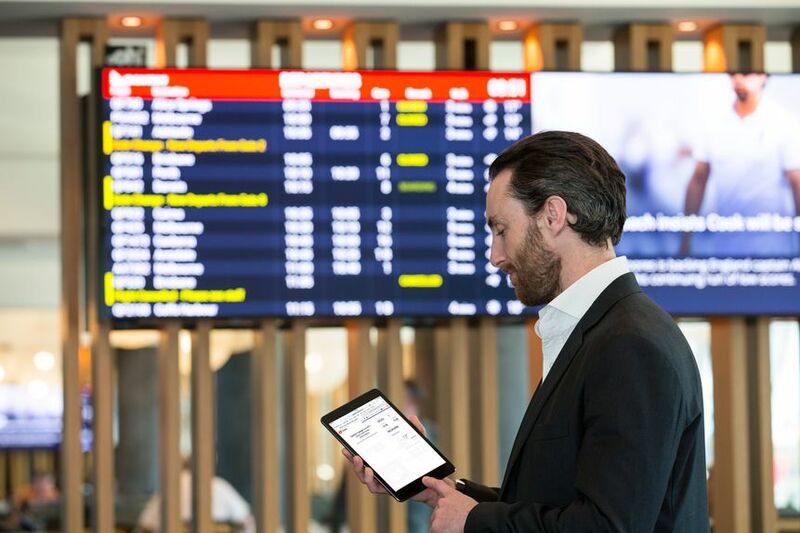 Qantas sees this as a clever way to tailor the large-screen content to what people will be most interested in at any given time by tapping into the choices of individual QView users to effectively curate what’s seen on the wall-mounted displays. For example, the screens are likely to be news-heavy during weekday peak hours but could lean towards lighter content such as entertainment during the day and evening, and sports on the weekend. 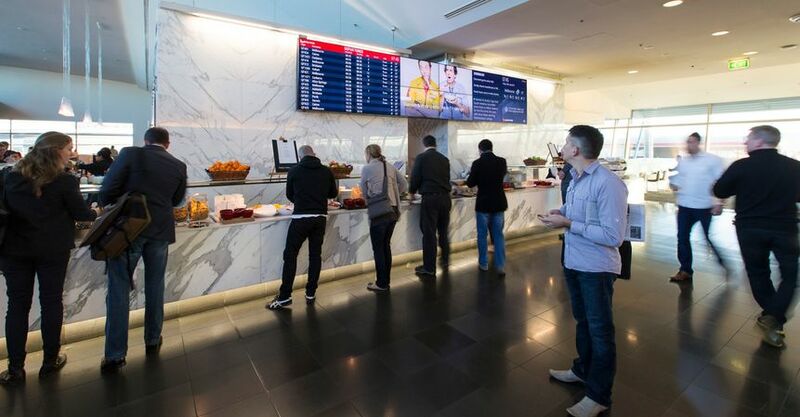 The bespoke feed is specific to each lounge in the network, which means that QView screens in Melbourne’s Qantas Club will favour wall-to-wall AFL coverage while Sydney lounges will see more rugby league but with a dash of Sydney Swans in the mix. Qantas says there’s no censorship of QView content, as exemplified by several MH17 reports appearing on the large screens during the media launch of QView in the Sydney Business Lounge. 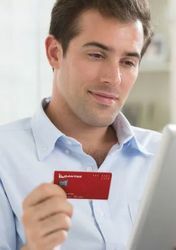 “The technology seems simple but it’s not as easy as it looks," says Brendon Cook, CEO of 'out of home' advertising specialists oOh! Media, which has been working on the world-first multi-million dollar project since 2013. "We’re taking content from multiple sources and we’re also pushing to multiple devices." Those displays also include advertising, of course, unlocking a new revenue stream for the Flying Kangaroo, but Qantas is quick to say this is less about the cash than the customer experience. “We know that balance is important” says Olivia Wirth, Qantas Group Executive Manager for Brand, Marketing and Corporate Affairs. The large wall-mounted QView screens show 15 seconds of advertising every minute with Westpac, Jaguar and The Economist as launch partners. 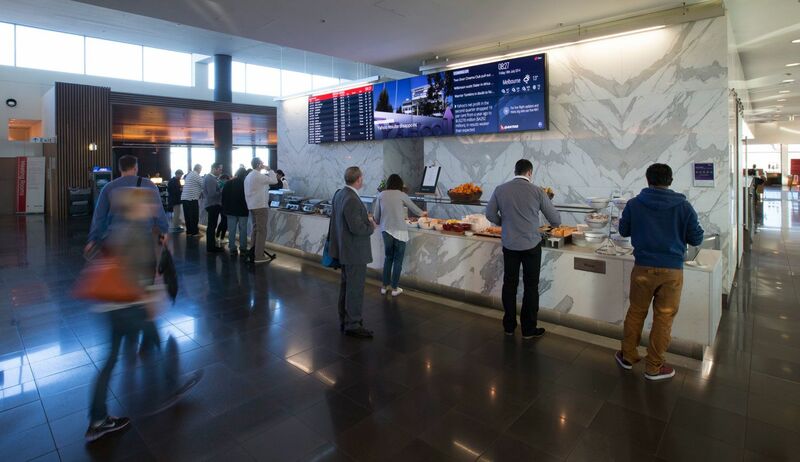 "It's about the experience in the lounge, providing our customers with an additional reason to choose Qantas and an additional way to feel valued for being a Qantas Club member or being a Platinum member and having access to the lounge” With told Australian Business Traveller. 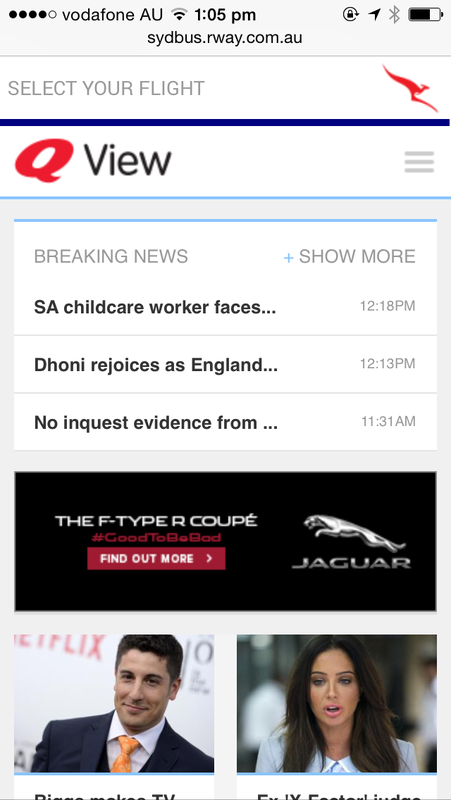 ... before being taken to the main QView news screen. A constant banner atop the QView screen displays live flight information such as the boarding gate, time until boarding and how long it will take to walk to that gate. 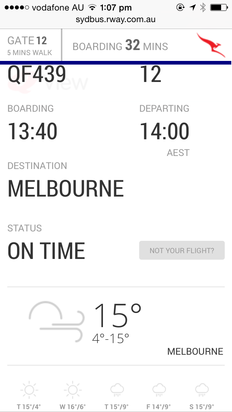 Some parts of the QView screen are also customised accordingly, such as the weather display showing a forecast for the city you’re flying to. 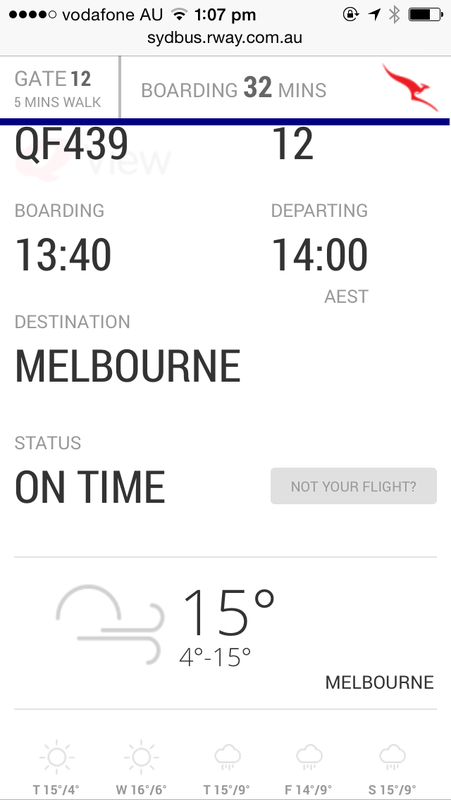 Changes to your flight are pushed directly to your QView screen, with plans to extend these to pop-up smartphone and tablet notifications which appear even if you’re using another app. 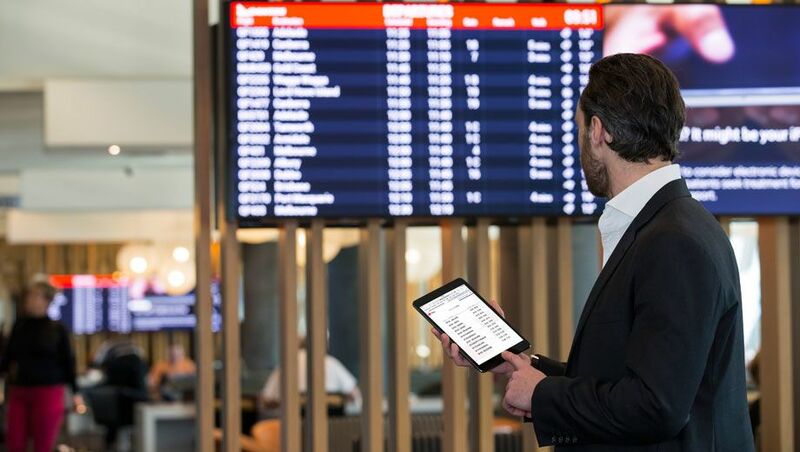 QView is currently available at all domestic Qantas Business lounges plus Qantas Club lounges in major cities, with its international lounges in Australia and potentially overseas next on the list. 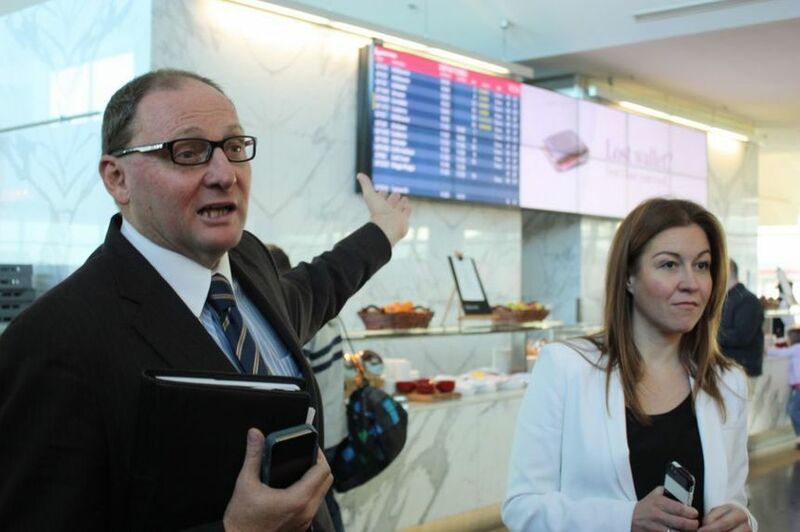 The airline is also looking at installing QView monitors throughout selected domestic terminals such as Sydney and Melbourne. I really don't see the point in extending this to users' own devices. It's useful information on displays within the lounge, but on end-user devices it won't replace the Qantas app (which already has push notifications on iOS and Windows Phone - I haven't seen what they offer for Android) and users' own news feed consumption apps. 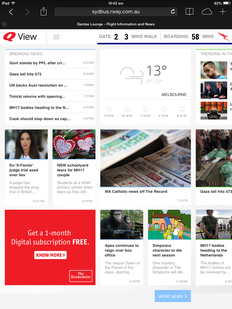 I'll stick with Google News and Digg Reader. I really like the new boards in the lounge. Especially with the time to walk to gate! Oh goody, another opportunity to be bombarded with ads! Thanks Qantas! I'm so glad that you're selling my eyeballs off to the highest bidder. 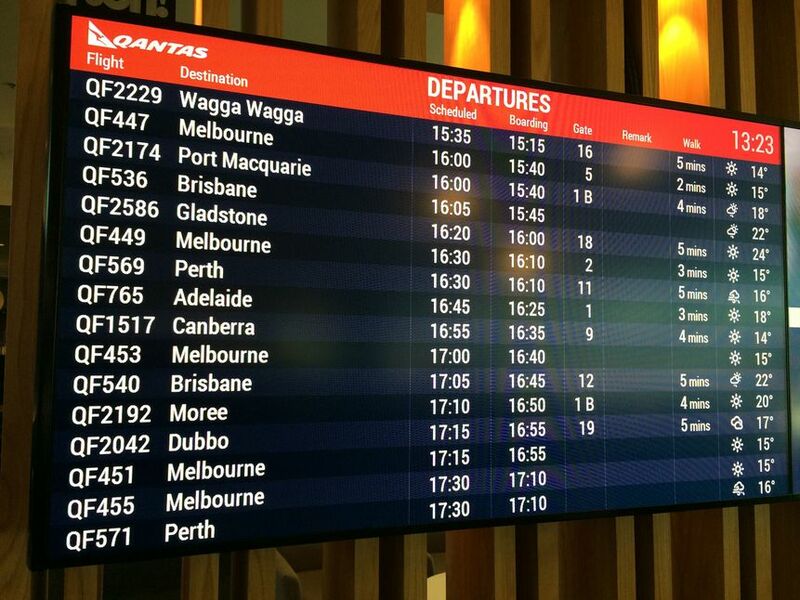 I was really impressed when I noticed them (boards/set flight on phone) in Sydney last week. I was a bit sceptical about the ooh media arrangement - but I have to take that back. A pleasant surprise. As it happens I was on my way to catch a Qantas flight from Sydney to Melbourne this afternoon when I saw this article, so I read it with a lot of interest and have to admit, my first thought was "Oh no, more advertising!" But I tried QView on my iPad at the Sydney business lounge and it's actually pretty good. Logged in, selected my flight to Melbourne, got the flight info and Melbourne weather just like in this article. 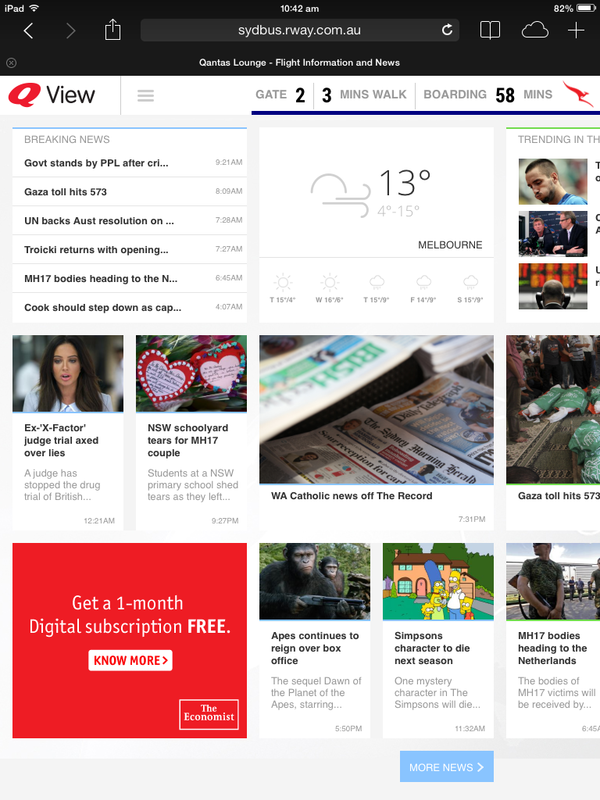 Had a play with the QView news pages and it's a good service, doesn't replace The Sydney Morning Herald but it's free, covers all the stories you'd want while waiting for a flight. The big wall screens are good too, the ads are actually not as 'intrusive' as I might have thought although on a panel made up of just two TV screens they take over the whole display, if there are more than two TV screens you still see the flight information as well. All up pretty good but at the same time, Qantas would have to make a LOT of money of this to really make it worthwhile in my opinion. The main benefit to me is the improved resolution on the boards. Going from crappy Foxtel in standard definition and whatever output they were using before for flight info to 1080p means crisp sharp graphics and text. 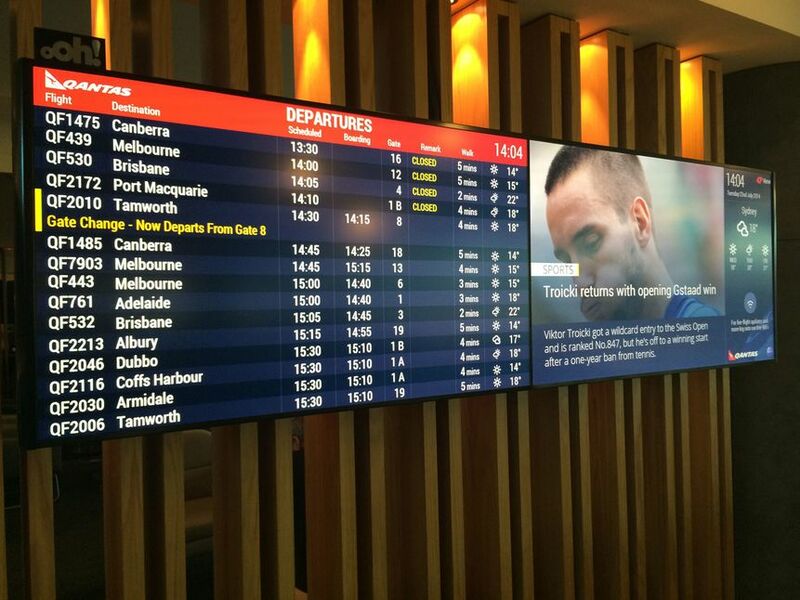 Comment on "Qantas rolls news, flight updates into new QView lounge screens"